Amy works with professional advisors and their clients to establish new and deferred funds that represent their charitable giving intentions. She is thrilled to aid the organizations and individuals behind positive change in our community and to help create meaningful ways for people to experience the rewards of charitable giving. Philanthropy has always been part of her life, beginning in early childhood when her father explained the importance of helping others and extending throughout her career. 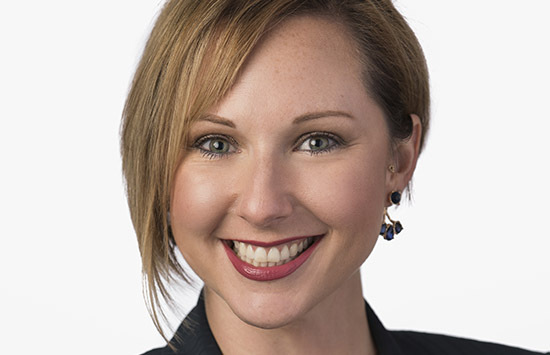 Prior to joining The Pittsburgh Foundation, Amy managed charitable giving portfolios as an associate major gift officer in major and planned giving for the Children’s Hospital of Pittsburgh Foundation. She also created and implemented strategic fund-raising plans as a member of that foundation’s Annual Giving Department, where she was promoted to as an associate director after serving as development coordinator and development associate. Amy earned a bachelor’s degree in rhetoric and communication from the University of Pittsburgh and began her career as an account executive at Pittsburgh’s ESPN Radio affiliate, WEAE, before moving onto Clear Channel Radio (currently iHeart Media). She resides in Stanton Heights. In her free time, she enjoys traveling both in the United States and internationally, spending time with friends and visiting family in Cleveland. Don’t worry: she’s not a Browns fan.